We are marking our first anniversary with a special celebration event on Thursday 12 October from 2-4pm in Áras Moyola (Lecture Theatre MY243), NUI Galway. This celebratory afternoon event will reflect on the activities and successes of QUESTS over the past year. 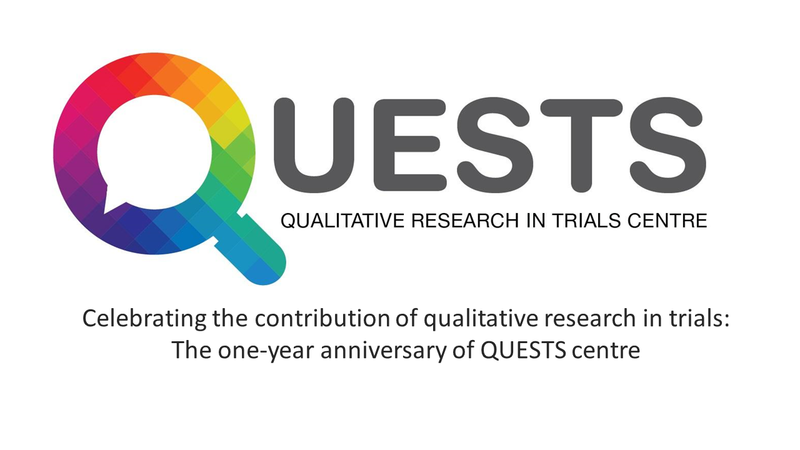 We will consider the future of qualitative research in nationally and internationally funded trials. We are delighted to be joined by Dr Sandra Galvin and Prof Seán Dineen. Dr Galvin, Programme Manager of the HRB-TMRN (Health Research Board-Trials Methodology Research Network), will provide an overview of the trial support infrastructure in Ireland, showcasing the HRB jigsaw and where the HRB-TMRN fits, and the exciting relationship between QUESTS and the HRB-TMRN. Prof Dineen, Professor of Diabetic Medicine NUI Galway, will illustrate the value of patient and public involvement (PPI) in trials through the involvement of a young adult panel in the development of an intervention for young adults with Type 2 diabetes. We would be delighted if you could join us at this event.